If you’re making plans to participate in a runDisney event in 2019 or 2020, the dates and events have been posted! Details for the 2019 Walt Disney World Marathon Weekend, Disney Princess Half Marathon Weekend, and Star Wars Rival Run Weekend can be found here. 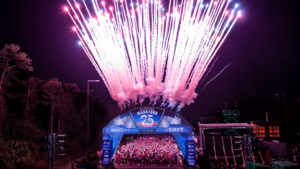 Dates and email signup for registration information for the 2019-20 races listed above can be found at the runDisney website.